(Newser) – A government shutdown has been averted, for now. 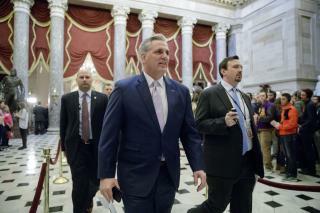 The House of Representatives passed a short-term spending deal Friday to keep the government open for another week, and the Senate followed suit immediately afterward, the Washington Post reports. Republicans Lie, Cheat, Steal but they are Unfit to govern anything. Yeh we fold in a week! We'll at least no more screwed by the Politicians!